All text, graphics, user interfaces, visual interfaces, photographs, trademarks, logos, sounds, music, artwork and computer code (collectively, "Content"), including but not limited to the design, structure, selection, coordination, expression, "look and feel" and arrangement of such Content, contained on the Site is owned, controlled or licensed by or to Big Boyz Head Porting, and is protected by trade dress, copyright, patent and trademark laws, and various other intellectual property rights and unfair competition laws. You may use information on Big Boyz Head Porting products and services (such as data sheets, knowledge base articles, and similar materials) purposely made available by Big Boyz Head Porting for downloading from the Site, provided that you (1) not remove any proprietary notice language in all copies of such documents, (2) use such information only for your personal, non-commercial informational purpose and do not copy or post such information on any networked computer or broadcast it in any media, (3) make no modifications to any such information, and (4) not make any additional representations or warranties relating to such documents. This Site may contain links to other independent third-party Web sites ("Linked Sites"). These Linked Sites are provided solely as a convenience to our visitors. Such Linked Sites are not under Big Boyz Head Porting's control, and Big Boyz Head Porting is not responsible for and does not endorse the content of such Linked Sites, including any information or materials contained on such Linked Sites. You will need to make your own independent judgment regarding your interaction with these Linked Sites. Big Boyz Head Porting does not endorse nor recommend any linked sites. THE MATERIALS (INCLUDING ALL SOFTWARE) AND SERVICES AT THIS SITE ARE PROVIDED "AS IS" WITHOUT WARRANTIES OF ANY KIND INCLUDING WARRANTIES OF MERCHANTABILITY, FITNESS FOR A PARTICULAR PURPOSE, OR NON-INFRINGEMENT OF INTELLECTUAL PROPERTY. All information on this Site is subject to change without notice. The materials at this Site might be out of date and Big Boyz Head Porting makes no commitment to update the materials and services at this Site. Applicable law may not allow the exclusion of implied warranties, so this exclusion may not apply to you. Except where prohibited by law, in no event will Big Boyz Head Porting be liable to you for any indirect, consequential, exemplary, incidental or punitive damages, including lost profits, even if Big Boyz Head Porting has been advised of the possibility of such damages. You agree to indemnify and hold Big Boyz Head Porting, its owners, members, managers, predecessors, successors in interest, employees, agents, subsidiaries and affiliates, harmless from any demands, loss, liability, claims or expenses (including attorneys' fees), made against Big Boyz Head Porting by any third party due to or arising out of or in connection with your use of the Site. You agree that all matters relating to your access to or use of the Site, including all disputes, will be governed by the laws of the state of Maine, USA. You agree to the personal jurisdiction of the US courts in Maine, and waive any objection to such jurisdiction or venue. No recovery may be sought or received for damages other than out-of-pocket expenses, except that the prevailing party will be entitled to costs and attorneys' fees. In the event of any controversy or dispute between Big Boyz Head Porting and you arising out of or in connection with your use of the Site, the parties shall attempt, promptly and in good faith, to resolve any such dispute. If we are unable to resolve any such dispute within a reasonable time (not to exceed thirty (30) days), then the parties shall be free to pursue any right or remedy available to them under applicable law. 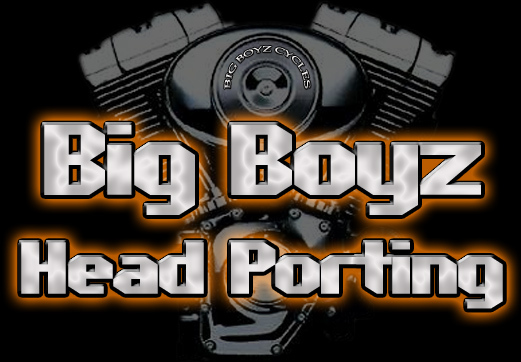 Big Boyz Head Porting administers and operates the www.BigBoyzHeadPorting.com Site from its location in Augusta, Maine; although the Site is accessible worldwide, not all features, products or services discussed, referenced, provided or offered through or on the Site are available to all persons or in all geographic locations, or appropriate or available for use in any or all countries. Big Boyz Head Porting reserves the right to limit, in its sole discretion, the provision and quantity of any feature, product or service to any person or geographic area. Any offer for any feature, product or service made on the Site is void where prohibited. If you choose to access the Site from outside the USA, you do so on your own initiative and you are solely responsible for complying with applicable local laws.